I have been registered with everything under the sun in matters ADULT stem cells and ADRCs in particular for many years, so I also get invitations to join conferences. SelectBio is one of the active frontrunners in organising these events and making money from it. Apparently, there is money in the clinical translation of SVF in the US although it is technically an illegal affair. Since money does not stink and most people never get enough of it ( it always has amazed me, which renowned scientists of reputation became paid advisor for the scam joint Intellicell ...) it is kind of a must, to know what they are up to and what they are talking about. So this is Day 1..
Advances in human hematopoietic stem cell (hHSC) isolation, purification and re-engraftment combined with the ability to engineer zinc finger DNA binding protein nucleases (ZFNs) enabling the targeted and permanent modification of any investigator chosen gene sequence have combined to create therapeutic outcomes capable of generating lifelong gene tic cures. This approach is being applied in HIV (targeted disruption of the CCR5 gene in HSCs) and in beta-thalassemia and sickle cell disease (targeted disruption of BCL11A). However, the generality of the ZFN platform permits the target disruption and targeted gene correction of any therapeutically relevant gene thus providing a platform for engineering genetic cures through genome editing of stem cells. Background on the evolution of the Cell Surgical Network; how and why it’s appropriate to treat patients now under our empirical investigative umbrella. The ready accessibility of adipose stem cells (ASC) make them a feasible and attractive form of autologous cell therapy requiring either no ex vivo expansion or relatively limited expansion. Our team has been working with ASCs for approximately 8 years. We have studied the effects of these cells in multiple indications in both animals and humans. ASCs are known to secrete angiogenic and anti-apoptotic factors which can increase tissue perfusion and limit ischemic tissue damage in several circumstances, including skeletal muscle, myocardial, and cerebral ischemia, as well as in cutaneous wound healing. ASCs may also be effective in orthopedic indications as they possess the potential to differentiate into bone and cartilage. This lecture will present the data that has been collected from thousands of patient treatments and discuss the potential of the cells in future applications. The only one result from aging mechanisms is decrease of stem cell density. Expansion of cell number would be the most important thing for the success of human anti-aging. I.V. anti-aging stem cell therapy needs astronomic numbers of cells because they would go every location having problem. So, rapid and continuous cell number expansion with low expense is necessary. In conventional culture, whole cost of enough stem cell number therapy over 1x10^8 cells every week that conventionally need 100 thousands USD would down to 100 USD. We have been used mechanical scraping culture in water proof vessels with aseptic manners. Trypsin-less processes make us to success automatic culture system with costs only several percent of conventional culture. Now our cell culture method is easier than car driving so it could be handled in every home. It is possible with easy monitoring. We expanded the ASCs number 2,000 times much within 18 weeks. It would really make to extend human life span over several decades with low costs. We believe stem cell culture and storing could be possible in patients home within 10 years in several countries, because stem cell culture is now easier than car driving with a small incubator. Our methods would help to reduce whole health care costs that rapidly increasing. Review of prospective non-randomized studies of spine, hip, and knee. Impact of BMC Concentration injections to the site. The current study demonstrated that intra-articular injection of allogeneic AD-MSCs could not only block OA progression but also promote eroded cartilage recovery. The main mechanisms were closely related to anti-inflammatory effects and secreting chondrogenic factors of AD-MSCs. Since the published discovery of adult pluripotent stem cells in adipose in 2002, scientists and physicians alike have been researching new methods of harvesting, isolating, identifying, expanding, and applying these cells in a clinical setting. As such, we have seen an explosion over the past five years with in-clinic use of these cells in an autologous, point of care model with many different companies offering a device or process, and claiming their final product superior. This makes the responsibilities of the physician in the clinic not only as chief medical but science and procurement officer a daunting process to uphold. In this talk, we take an objective stance; informing the listener the background behind the discovery of adipose derived stem cells, relevant publications and information concerning their isolation and characterization, and closing with tangible, science based concepts that should be considered when deploying these cells during a surgical procedure. The presentation concerns the cutting edge use of PRP (Platelet Rich Plasma) and Stem cell injections for treatment of musculoskeletal conditions in an office setting. We have now expanded our horizons to also include the use of very small embryonic like stem cells (V cells) for both musculoskeletal and anti-aging purposes. These cells secrete telomerase and are considered to be SAFE pluripotent autogenous stem cells which is one of the holy grails of stem cell therapy. Newborns with congenital heart disease who undergo cardiac surgery already have or are at risk of developing conditions related to inadequate myocardial perfusion. We have recently discovered that MSCs isolated from discarded thymus tissue from neonates undergoing cardiac surgery are proangiogenic. The objective here was to assess the therapeutic potential of thymus MSCs (tMSCs) by comparing their proangiogenic characteristics to those of bone derived MSCs. In an initial comparison to adult bone marrow MSCs, we found that tMSCs were superior in promoting EC migration and spheroid sprouting. We then demonstrated that tMSCs were superior in promoting the formation of human neovessels in a subcutaneous implant model in immunodeficient mice. To account for age, we performed a patient-matched in vitro comparison using sternal bone derived MSCs. We found that tMSCs were superior to matched bone MSCs in promoting angiogenesis in vitro. A genome-wide, patient-matched comparison demonstrated a significant increase in SLIT3 expression in tMSCs. The proangiogenic properties of tMSCs were blocked in vitro by soluble ROBO4 and SLIT3 siRNA. These data indicate that discarded thymus tissue is a relevant source of proangiogenic SLIT3 expressing MSCs. Evaluation of tMSCs in cardiovascular disease models is ongoing. We have discovered that MSCs isolated from discarded thymus tissue obtained during neonatal open heart surgery possess potent therapeutic properties, thus making them a candidate for use as cell therapy in these young patients with limited treatment options. This talk will focus on novel bioengineering strategies aimed at maximizing the impact of stem cell therapies by enhancing the control over cell fate following transplantation. Specifically, approaches to control cell targeting to sites of disease to maximize therapeutic impact will be discussed. These include mRNA cell engineering to enable cell-based delivery of biologics to sites of inflammation, a multi-step screening platform to identify compounds that improve homing of systemically infused cells and a biomaterials-based platform to facilitate active cell-based targeting of therapeutics to sites of cancer. Overall, this talk will highlight the potential of harnessing cutting-edge bioengineering strategies to advance cell-based therapies. ß-cell dysfunction and deficiency is a major factor in both type I and type II diabetes. Approaches to ß-cell replacement will be discussed, including by generating ß-cells ex vivo followed by transplantation, and stimulation of endogenous ß-cell regeneration. Microfat grafting is a process whereby routine lipoaspirate is processed by simple saline wash and “re-sizing” by passage through progressively smaller filters using the Lipogems® device, an FDA approved 510-K device. This unique method allows for an extremely fine fat graft with a proportionately higher content of SVF macrostructure versus adipose cells. This tremendously versatile graft may be used in aesthetic and/or reconstructive procedures and will be explained in a series of case studies detailing preliminary procedural protocols. SVF derived from Lipogems® have been shown to induce Yamanaka factors and neovascularization, which opens the possibility of additional regenerative therapy options within the U.S. in a regulatory-compliant manner. As a veteran and active plastic surgeon of 45 years, the integration of stem cells into my practice more than five years ago was truly a paradigm shift. To date I have treated more than 200 patients not only for plastic surgery procedures but also with regenerative medicine patients. The novel idea of 3D imaging and printing tissues and body parts with stem cells has already been accomplished in several research centers. My goal is to hasten the applications of this fascinating new science in a safe and advanced private setting. 3D Bioprinting is enabling processing of several cell types embedded in natural hydrogel biomaterials or in autologous extra cellular matrix with high reproducibility and accuracy of 10 microns. This disruptive technology uses 3D images of organ or tissue and, together with 3D Bioprinters, can reproduce the macro and micro-architecture of tissue and manufacture cell laden hydrogels ready for implantation. It is ideal for stem cell delivery and a revolutionary tool for tissue and organ reconstruction. This lecture will provide an overview of where this technology stands today and it will be combined with a demonstration of a desktop 3D Bioprinter used for tissue reconstruction, which we hope to see soon in every operating room. VetStem Biopharma has been providing autologous adipose stem cell laboratory services and training since 2003. Our clinical experiences in 1000’s of veterinary clinics across the US and Canada can provide insights in efficacy, safety, and medical acceptance in human medical field. This presentation will cover clinical experiences and study data from orthopedics and internal medicine. The presentation will highlight the clinical application and use of stem cell therapy to create a successful stand alone stem cell center. As Medicine continues to emerge, Sports and Regenerative Medicine can be more readily seen as intersecting. As more experience is accumulated, the science of Regenerative Medicine becomes increasing clearer in the application towards Sports Medicine. During aging and as time evolves the nature of post-traumatic arthritis and Sports Medicine becomes more intertwined. Moreover preventative and regenerative applications are strategic allies, yet often neglected or unknown. The clinical cases will reinforce these concepts. Case studies from amateur, professional, and retired athletes will highlight treatment and illustrate the need to evaluate each patient and athlete on an individual basis. This will provide more precise and optimal treatment based on the individuals needs, goals, and future desires. The role of stem cells, PRP and other regenerative therapeutic method will be presented and the rationale for treatment, factors influencing outcome will be discussed. Human Growth factors, where are we, NOW? I will be talking about the latest in growth factors and their uses in therapies and what we need to know. The focus of this lecture is to provide an update as to what is now clinically possible utilizing paracrine factors and exosomes from a variegated array of stem cell sources. There will be a discussion of the latest non-invasive cosmetic facial procedures involving distinctive cytokine therapies with PRP employing some kind of needle device. Currently, there will be a review of a pending study utilizing a high concentration of a peptide configuration derived from nascent stem cell sources to mollify physiological aging. Patients will receive a systemic injection once a week for nine months. This stem cell related therapy does not have any complications, and shows many promising medicinal benefits. The systemic stem cell related therapy does not have any complications; and shows many promising medicinal benefits such as improvement in epidermal/dermal texture increase executive function, enhancement in overall energy and mood, and skin tightening of the face and torso. In addition, there is a reduction in overall bodily inflammation and other problematic parameters of aging. Orthopaedic surgeons know better than anyone the excellent results we can give patients by replacing worn out joints. But, we also know the potential for complications. We need to be up to date on ways to treat our patients and potential delay or even prevent these operations. Never has there been an opportunity to biologically improve arthritic joints, only ways to suppress the inflammation and pain. Until now…. Fair amount of ortho lectures. The 3D bioprinting sounds interesting...I just saw something on this recently but didn't have time to read the full article. Amazing it may someday be possible that we wont have to rely on organ donation. 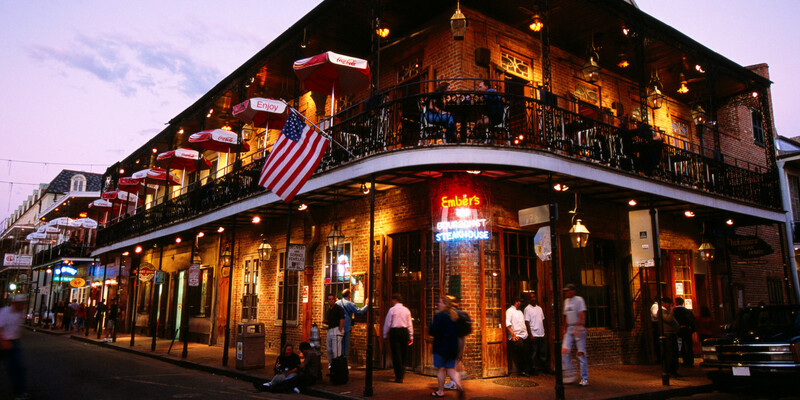 IFATS will also have its focus on ortho and will be in New Orleans from November 5 to 8. The abstracts are always great and are available after the conference.